As a part of our customer support services, we offer non-GLP virus studies on customer protein solution samples. 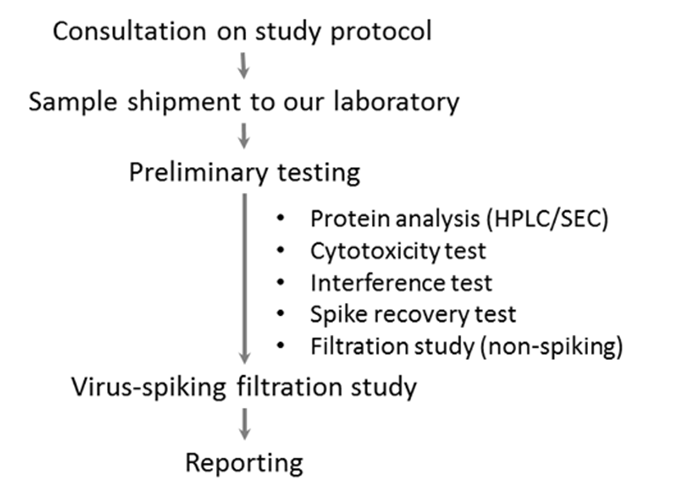 This service allows you to pre-test your virus removal process using Planova™ filters before the actual GLP virus clearance testing, so as to anticipate the outcome and to effectively reduce the risk of failure in the actual GLP studies, thereby contributing to saving of total anticipated time and costs. Customers will be able to save time, cost and hustle on performing a virus clearance test, as Asahi Kasei Bioprocess provides total solution for a reliable viral clearance testing: the viruses, the facility and the experts. We have the experience of conducting more than thirty studies over ten years. Our dedicated team of experts is always ready to provide you with total support in obtaining greater confidence in viral safety of your process. Using samples from the planned process feed, our technical team will conduct non-GLP virus studies using stock virus developed by Asahi Kasei Bioprocess. Our dedicated team of experts will be responsible for providing consultation on study protocol, conducting virus testing as well as reporting the results. A sample of the report cover page outlining the items included in the report can be find by clicking the document thumbnail below. In order to design a viral clearance study that replicates the actual GLP test, we use actual viruses in our study. Parvoviruses such as porcine parvoviruses (PPV) and minute virus of mice (MVM) are the smalles grade, non-envelope viruses that are typically used in the validation of virus filtration process. By using these viruses in our viral clearance study, we prepare you for the actual GLP studies. - To ease optimization within the design space without the need to revalidate the whole process for regulatory purposes. Our dedicated team of experts will be responsible for providing consultation on study protocol, conducting evaluation as well as reporting the results. You would be able to also save time and costs in defining a robust process. Let the experts help you develop a more robust virus filtration process! 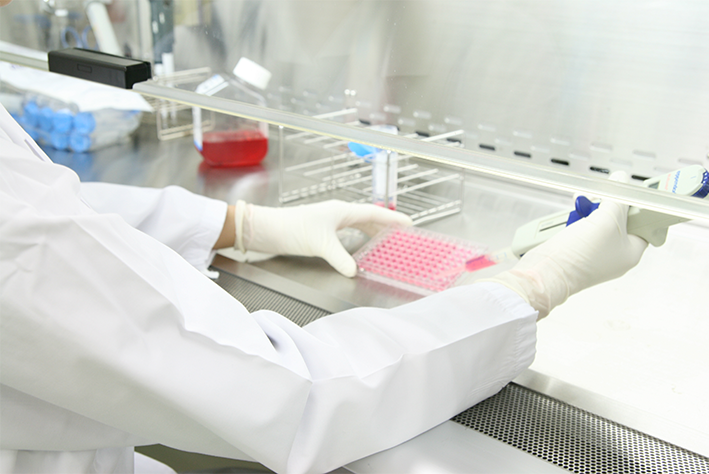 Both our laboratories in Nobeoka and Glenview serve as our global virus testing facilities, where we offer viral clearance study service, design space evaluation service as well as other virus filtration-related consultation services for our customers.